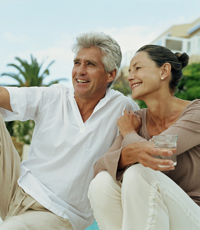 If you are 65 or over, retirement is either right around the corner, or it has arrived. This life stage is about reinvention – it is about exploration and enjoyment. You have worked hard to get where you are today, yet you must make sure you have, and follow, a financial plan throughout your retirement. Here are five tips to help you succeed in your reinvention years. Think twice about applying for early Social Security benefits. This is especially true if you are divorced, married, or widowed. It's possible to coordinate your benefits with your spouse or ex‐spouse to significantly increase your lifetime benefit. And remember that retiring before you reach your full retirement age means a much smaller lifetime benefit. If you are considering moving to a continuing care community at any point in the future, look beyond the benefits and services provided today. There are many other critical things to consider before you make the move. For example: It's important to evaluate the financial condition of the community or facility as well as the programs they offer. Remember, you may be planning to live there a lifetime and want to ensure the facility is financially sound and can accommodate your needs. Your social network – your friends and family – provide support and keep you engaged and thriving. Keep in touch with people, make more friends, participate in activities that interest you and enjoy life. The importance of this for your financial health cannot be over‐emphasized. Not all investments are equal. High Yield investments generally involve more risk. Sometimes the percentage rate on an investment reflects not just your return – but also your own principal coming back to you. If your investment creates cash flow, it may have been sold at a premium. Some of your life goals may be behind you ‐ but there are still challenges ahead. For example, your estate planning may need updating and you still need to manage your withdrawals from your retirement accounts. And you need to be able to do all of this with the confidence you need to enjoy these years of reinvention. Now more than ever you need to have the security to do what you want to do. A CERTIFIED FINANCIAL PLANNERTM professional can help you assess your situation, and help you to live your life even more fully than you originally thought.